Clear skies. Low 42F. Winds NNW at 5 to 10 mph..
Clear skies. Low 42F. Winds NNW at 5 to 10 mph. 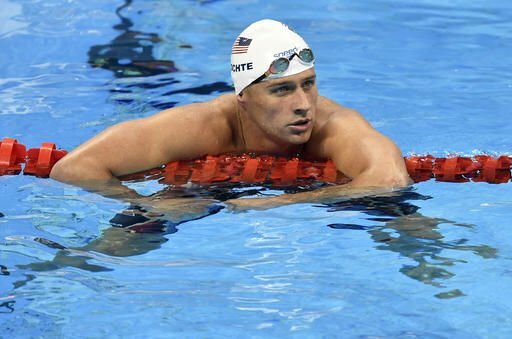 FORT LAUDERDALE, Fla. — Swimmer Ryan Lochte has been suspended until July 2019 by the U.S. Anti-Doping Agency. The 12-time Olympic medalist has been sanctioned for getting an intravenous infusion, a method that broke anti-doping rules. It's his second suspension since the Rio Olympics. He was banned for 10 months after claiming he and three other U.S. swimmers were robbed at gunpoint at those 2016 Games, a tale that quickly unraveled.